Happy New Year. It’s the Year of the Dog. Fantastic Okinawa opens this new year getting you ready for exercise. The festivals are quiet for now, and walks, runs and marathons are the rage across this islands prefecture. For the faint of heart, there’s also golf, and an opportunity for some culture too. Two marathons are cranking up Sunday here on Okinawa’s main island. The 35th Itoman City New Year Marathon kicks off Sunday at 8:30am with both 5k and 10k races. The action centers on the Nishizaki Track and Field Gymnasium, the Itoman City Gymnasium. Registration details are available at (098) 840-8164. On the other end of the island, Ocean Expo Park is rolling out its Trim Marathon. The fun begins at 10:10am, with cost for adults Y2,000 and Y1,000 for kids. 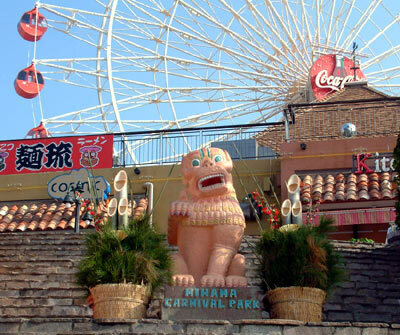 Ocean Expo Park is a two-hour drive north of Naha. Details are available at the Ocean Expo Park website, www.ocean-park.go.jp. A week from Saturday the marathon action shifts south to Miyako Jima, where the 10t Annual Miyako Island 100k Long Walk gets under way. Entry fee for the 100 kilometer Ultra long walk Jimukyoku is Y15,000. It begins at Miyako Island’s Tokyu Resort Hotel. Call (042) 797-5383 for further information. Still farther south, in the Yaeyama Islands, the time for stretching legs is January 22nd, with the 4th Ishigaki Island Marathon. The event begins and winds up at the Ishigaki City Chuo Undo Koen Kiyogijo, Ishigaki Island Marathon Jimukyoku. Call (042) 088-6666 to register. Golf, from the spectator perspective, is in championship mode at the Emerald Coast Golf Links on Miyako Friday and Saturday. The 2nd Japan Junior Golf Championship features junior and senior high school divisions, youngsters 18 and under, vying in the 36-hole championships. An introduction to classic Okinawa culture can be yours Sunday, as the Dai Ryukyu Matsuri Okoku performs at the Okinawa Convention Center in Ginowan. The program, The Great Ryukyu Festival Kingdom in English, has performances at 1pm and 6pm, celebrating the island’s history of the arts. The primary event is the musical drama Da Ryukyu Roman. Tickets are Y3,000 each. Further information is available at (098) 860-2055. Fantastic Okinawa this year will transport you from the northern end of the prefecture, Gushikawa Village on Ioudori Island, all the way south to Taketomi Town on Hateruma Island. We’ll stop at many of the 41 inhabited islands, introducing the Prefecture’s culture, history and traditions and offering tips for successful travel. Divers will find this a paradise, and Fantastic Okinawa takes you beneath the waves for insights into both the islands and the aquatic life that is so abundant in these waters. Water activities range from snorkeling and swimming for the more timid, to deep dives for the adventurous. Asian traditions are commemorated in many ways on Okinawa, a culturally diverse island community. Okinawa was an independent nation, the Ryukyu Kingdom, until the invasion by Japan’s Shogun Toyotomi Hideyoshi, the Shimazu clan of Satsuma in 1609, and the subsequent transformation to a Japanese Prefecture in 1871. Its culture is interwoven with native groups, Chinese, Japanese, Thailand and Korea. The Lunar New Year is coming later this month, and Fantastic Okinawa will share with you the traditions and festivities. On the scenic side, winter’s on the downhill slope, and cherry blossoms will soon be bursting into full bloom. We’ll tell you where and when to go to enjoy the colorful sights. Monday is an important Japanese holiday for young people. Coming of Age Day, Seijin no Hi, recognizes all who turn 20 years of age this year. Twenty is considered the official point of attaining adulthood, and with it, the rights to vote, drink and smoke. Ceremonies and celebrations are held nationwide. For the foreigner, the most visible signs of the day are the sharply dressed young men and the ladies in their colorful kimonos.